Tucked away in the Kitts Corner neighborhood in Federal Way, WA experience the peace and privacy of quiet residential living. Located just off Enchanted Parkway S, Crosspointe Apartments is just minutes away from hot spots such as The Crossings, Wild Waves and Costco, Crosspointe Apartments offers you a home of versatility. 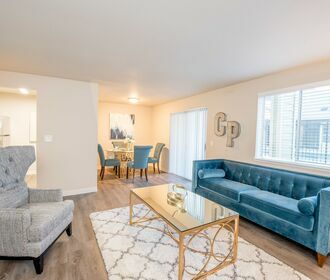 With the convenience and excitement of city life and the privacy and serenity of a residential neighborhood Crosspointe Apartments features quick access to popular highways, schooling, dining, shopping, entertainment and more. 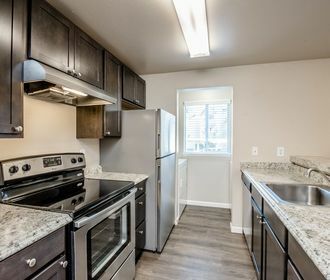 Crosspointe Apartments offers 1, 2 and 3-bedroom homes. 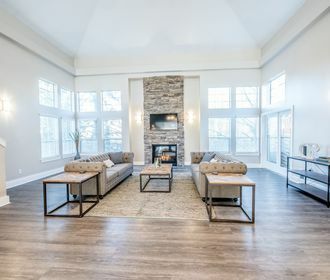 Unit amenities include wood-burning fireplaces, cathedral ceilings, wood grain laminate floors, matching modern stainless steel appliances, private balconies, and in-unit washer and dryer. Community amenities include a newly furnished fitness center, sauna, hot tub and seasonal pool. These homes are also pet friendly, please refer to our pet policy to ensure that your furry companion meets our guidelines. Do not miss out on these amazing homes! Please call to schedule an appointment to tour new your new home or apply online today!